Jennie is an international motivational speaker, trainer and storyteller, speaking for women’s retreats, conferences, on college campuses and for military wives and military personnel. She has spoken for arena events, including Heritage Keepers and Time out for Women. 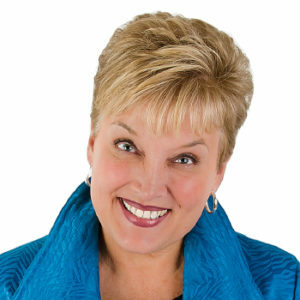 She is the President of Storyline Ministries, Inc., the author and storyteller for Kids’ Time, and she serves on the faculty of Speak Up Conferences with her sisters, Carol Kent and Bonnie Emmorey. A gifted storyteller, Jennie has authored two books with the Revell division of Baker Publishing entitled Passionate Faith and Unexpected Grace, and work she has written has been published by other publishing houses including NAV Press, Honor Books, Zondervan, Cook Communications, and the Howard Division of Simon and Schuster. Her newest book is titled Miracle on Hope Hill. Jennie helped establish the Cornerstone University Women’s Leadership Conference. She serves on the Board of Trustees at Cornerstone University and the Grand Rapids Theological Seminary, on the board of Speak Up for Hope, and on the Global Board of Directors for RBC Ministries. Jennie is married to retired Probate Court Judge, Graydon Dimkoff, and they have two grown children, and two darling granddaughters. She has a heart for God and a passion to win others to Christ.